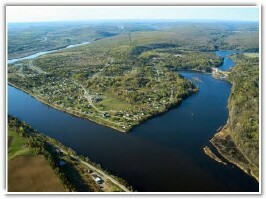 There are many attractions in the community of Perth-Andover and surrounding areas, whether you are just stopping on the way through or staying for a few nights. 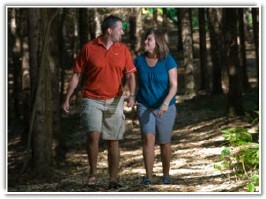 The Castle Inn is surrounded by wooded trail systems and is near the St John River which has excellent fishing. Summer and winter activities may interest families, couples, and even the business traveller as a tranquil, scenic escape from the daily grind. In the summertime, stroll down the hill and along the town’s waterfront walkway, pausing along the way to enjoy the majestic river valley. After lunch, hike through the woods and experience the lush, green forest scents or enjoy relaxing with a book on the deck in the afternoon sun. Several attractions are an easy jaunt away--a short drive south to Hartland and you're at the world's longest covered bridge. Half an hour north takes you to Grand Falls and the spectacular Falls and Gorge. Wherever you go, you will be surrounded by the beauty of the St John River Valley in all its natural glory. Care to go for a bike ride through unspoiled New Brunswick scenery? You can enjoy an ‘Upper St John River Valley Day Adventure’ with Valley Trails Bicycle Vacations and leave the planning to them! Ski or snowshoe the trails in the winter, or link up with the Trans-Canada Trail system by snowmobile and enjoy a brisk ride through frosted woods. The Castle is directly adjacent to the New Brunswick Trail and is only 6 hours by snowmobile from Fredericton. The Aroostook Valley Country Club is 10 minutes away from the Castle Inn. 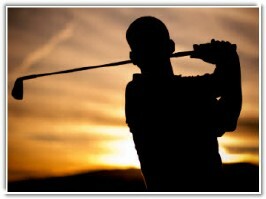 Please note that you need a valid passport to play at the Aroostook Valley Golf Course. The Castle Inn lies just 5 minutes from the Maine border and offers the perfect opportunity for unique shopping and sight-seeing. The World Pond Hockey Championship grounds in Plaster Rock lie half an hour away. For a gaming experience, drive 10 minutes to Lucky's Entertainment Centre on the Tobique First Nation and try your hand at the slot machines or poker.